The rebuild was massive. The team was stripped to its very core. Then the young dazzling General Manager who orchestrated it all goes down in a blaze as he received a lifetime ban for some sketchy international signings. No one thought that the Braves would be in the position they are in right now. NL East Champions in October while the Nationals and Phillies sit at home. The young core of talent that was supposed to be a few years away was thrust into action this season. They developed their team chemistry fast. A lot of that is a testament to Brian Snitker’s managerial style. He has a lifetime of knowledge of how to corral the egos and aspirations of elite athletes. The importance of that skill is magnified when you have a flux of young generational talent being brought up all at once. Second baseman Ozzie Albies came on the scene late last year. Shortstop Dansby Swanson had been balling all year proving why he was drafted number one overall in the 2015 draft. With that duo, the middle infield is secured for the foreseeable future. First base is manned by the cornerstone of the franchise, Freddie Freeman. He’s the one position player that made it through the rebuild. He’s a perennial MVP candidate who is as reliable as they come. Third base has been a sore spot on this team ever since Hall of Famer Chipper Jones retired in 2012. But Johan Camargo has laid that to rest with his play this year. He’s been electric in all facets of the game. He makes smart base running decisions. He’s got a flashy glove and rocket arm. He hits for contact and power. And on top of all that he’s one of the best hitters with runners on base in the National League. In the outfield, the Braves have rookie phenom Ronald Acuna Jr. He’s a five-tool player who has been the Braves best playmaker all season long. He’s been continuously compared to Braves legend Andruw Jones, and those comparisons are spot on. He rises to the moment like the great ones are supposed to. In Sunday night’s contest against the Dodgers, he came through big time with a grand slam against the Dodgers young pitching ace Walker Buehler. Acuna passed no other than Mickey Mantle as the youngest player to ever grand slam in a playoff game. Now you see where the Andruw Jones comparisons come into play. Jones burst onto the scene as a 19-year-old center fielder in the 1996 playoffs. He became the youngest player in a world series game to hit two home runs. Acuna is the type of player that teams need to win big games. With moments like these, he continues proving that his future is bright. The Braves gave their fans a thriller Sunday night in the first playoff game at Suntrust Park. Acuna kept the season alive with his blast. Ultimately it wasn’t enough as the Braves dropped the series to the Dodgers on Monday. Hopefully, the taste of playoff baseball will have all the young players chomping at the bit to get back next year. The division will get better with the Phillies also looking to improve upon an impressive turnaround year. The Nationals will be looking to make amends for a lackluster season that they let get away from them. Overall, it will be a tougher road to October baseball, but I think the Braves will be poised for a dominant year. They will also be set up for some big free agent acquisitions thanks to about $70 million that will be freed up in cap space. They don’t have any huge areas of concern. Some bullpen depth and a frontline starter would go a long way in making this team elite. They still have plenty of talent in the pipeline to address any other concerns. 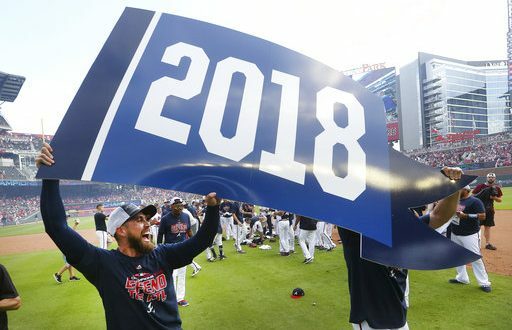 If 2018 was a surprise year for Atlanta fans, then 2019 is set up to be even better. Previous postCan Falcons fix Defensive Issues?